I’m still reeling from the fantastic performance Arsenal put in last night. Say what you want about Porto, winning 5-0 in the second round of the Champions League is some achievement -especially after being 2-1 down in humiliating fashion in the first leg. Arshavin provided a lot of the key moments in the game, setting up three goals. Overall I think everyone put in a good performance, and gave a good account of the team. Thanks to the brilliant Arsenalist for the highlights. Arsenal won 5-0 yesterday against the Hungarians Szombathelyi Haladas, with Bendtner and Eduardo grabbing two goals each and Van Persie finishing up with a penalty. The win was straightforward with good performances from Bendtner and Wilshere. It was interesting to see Traore playing, he is another quality left sided player. The other interesting development is whether Toure will play a part in the next few games, as there are reports that he will sign for Man City by this weekend. Eduardo gave an interview after the game where he seemed in high spirits, and denied that he has been injured in pre-season. It would be good to see him come into form this season and fulfil his potential now that Ade is gone. All in all looking at the line-up it seems our team is stronger than we think, seeing as top quality players such as Cesc, Rosicky, Walcott, Clichy, Nasri and Almunia did not play. Even if Toure is leaving there is still quality in the squad which can come to the fore. This season has to be the one where our young talent matures. Kieran Gibbs put on a lovely performance last night for England U-21s in their friendly against Azerbaijan, and was in a class of his own. He took two goals, and you can see them in the videos below. Good stuff from the young guy, cue newspaper articles on Arsenal’s ‘production line’ of quality left backs..
A friendly against Azerbaijan isn’t much to go by, but I think we all know that Gibbs is quality, and the more experience he gets the better he will get. I’m not expecting too much next season from him though, Wenger won’t be putting undue pressure on him. In other news it looks like we may have signed Ajax defender Thomas Vermaelen. The rumours surrounding the story have been growing, and now the Guardian are reporting that we are going to spend around £10 mill on the 23 year old. We’ve needed a new central defender for some time, and I think everyone knew that Silvestre’s signing last season was not the answer. I think that defence is the key for a successful title challenge next season, lets just hope that if he does come in that Vermaelen can do the job. Meanwhile it looks like Milan are going to snap up Dzeko, the striker linked with us, and Senderos apparently wants to stay at AC too. If we get some cash from him then it should go straight into reinvesting in another defender. If Senderos stays at Arsenal it wouldn’t be a bad thing, but I think we should look for someone of higher quality. A brilliant goal from Grafite, in Wolfsburg’s 5-1 demolition of Bayern Munich. I think it’s only fitting that Wolfsburg have won the Bundesliga this season, and they deserve something to cheer about – it’s their first piece of silverware in 64 years! Gives Arsenal fans a little to think about! The commentary is hilarious too, anyone know who the commentator is? What are you favourite goals of this season? Leave a comment below, or tweet me @arsespeak with your replies! In keeping with the theme Setanta are running an FA Cup goal of the season feature at the moment, their list is up here, and you can e-mail in if you think they’ve missed one! Liverpool 4 – 4 Arsenal: Arshavin 35, Torres 48, Benayoun 55, Arshavin 66, Arshavin 69, Torres 71, Arshavin 89, Benayoun 92. 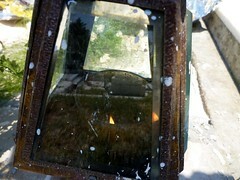 Highlights thanks to the Arsenalist. A scorcher of a game at Anfield produced eight goals, and four came from none other than Andrey Arshavin.The game was nearly ours when Arshavin scored his 4th in the 89th minute. Anfield must have been thinking it was 1989 all over again, but Benayoun grabbed a point for Liverpool in injury time. Arsenal defended abysmally, and because of that we conceded easily – the left side got mauled – Liverpool were pounding away at us and we found it hard to pass the ball. Gibbs and Silvestre looked weak at times and that is to be expected, and Sagna was at fault for Liverpool’s first equaliser. On the other hand we were clinical in attack – 4 shots on target and 4 goals. Arshavin took his first goal, slotting in a Fabregas cross in the first half, after Nasri played him through. Benayoun then equalised early in the second half after Sagna cleared the ball across his own penalty area to Kuyt. Torres made it 2 – 1 and it seemed that the game was lost! However, Arshavin then capitalised on slack Liverpool defending to make it 2-2, and then made it 3-2! Torres made it three all after fooling Silvestre to gain more space. But in the 89th minute Walcott countered from a corner as Liverpool committed men forward. He took the ball forward and played Arshavin through on goal and he coolly took his 4th, making it 4-3. When Arshavin made it 4-3 on the 89th minute I thought the game was ours, 1989 style. Up for Grabs now moment, Kenny Dalglish vacant stare moment. It wasn’t to be. I don’t know how the 4th assistant found 5 minutes added time, but it was inevitable the way Liverpool were pressing our shaky defence that they would get another goal. Benayoun headed home after shambolic clearing from Arsenal allowed Liverpool to get a cross in injury time. In any case it was a great game, highly entertaining, although I was disappointed that we never really got going. 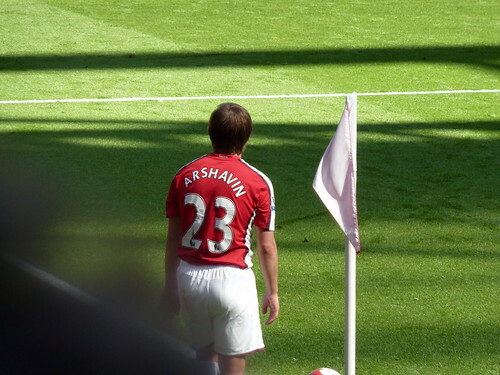 Arshavin more than made up for it with his performance – he really is a very, very special player. This keeps the unbeaten run going. Wenger said that 3 points would have been better than one but in all fairness we were very lucky to come away with a point. It was the induvidual brilliance of Arshavin that got us the point. The first time that 4 goals have been scored at Anfield in the league since the 1940s and who else could do it? What a rollercoaster of a game! How I’m wishing that Arshavin could play in the Champions League. Watch all of Arshavin’s goals at Zenit here. Wigan 1 – 4 Arsenal Highlights, Arshavin’s Magic! Wigan Ath 1 – 4 Arsenal: Mido 18, Walcott 61, Silvestre 71, Arshavin 90, Song 90. Highlights at Arsenalist.com. Arsenal came back from a goal down against Wigan to claim all three points in front of 22000 at the JJB Stadium. Mido’s early goal gave Wigan the lead, but Walcott equalised after 60 minutes, thanks to Arshavin’s skill in the box. Then Arshavin played a through ball to Fabregas who set up Silvestre to score on the edge of the 6 yard line. 2-1! Arsenal countered for their 3rd goal – Arshavin picking up a poor clearance on the edge of the box to slot home, and Alex Song of all people dribbled past two Wigan players and into the box before shooting to make it four! A fantastic result for us – just a pity that Man Utd and Chelsea both scraped wins against Sunderland and Bolton. We also lost Djourou to injury which worries me. We are already suffering after losing Gallas and Clichy. Today we ended up with Gibbs and Silvestre playing in defence – as long as we keep winning it isn’t a problem – but defensive instability was the reason we leaked so many goals earlier this season. Wenger said before the game that the league was the priority for the future, the Champions League and the FA Cup the immediate priority. This victory took us a step closer to Champions League qualification, as well as keeping us on the tails of the top three. We will miss Arshavin on Wednesday, he showed today how much he has brought to the team, he creates chances and scores goals – but he can still help us in the league and the FA Cup. Oh and also, Happy St. Totteringham’s Day to you all; Spurs can no longer finish above us in the League, haha. Lineup: Fabianski, Sagna, Toure, Djourou (Silvestre 35), Gibbs, Walcott (Adebayor 68), Denilson (Van Persie 63), Song , Arshavin, Fabregas, Bendtner. Arshavin scored 51 goals at Zenit, watch them all here. Hopefully he can continue his good form at Arsenal!